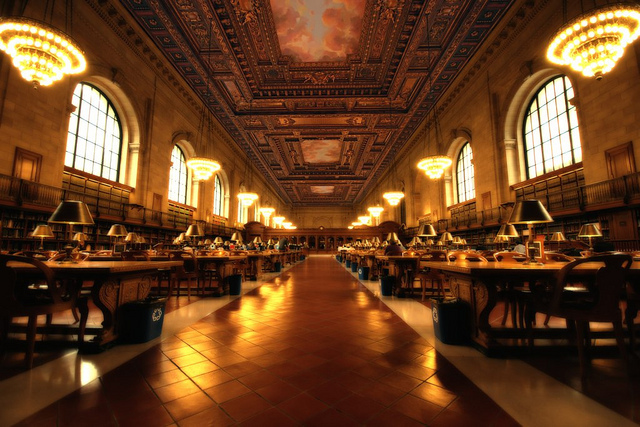 There seems to be an air of the inevitable in the city’s plans to renovate of the New York Public Library’s main branch on Fifth Avenue. The New York Times is all over debate on whether the New York Public Library should send half of its 3 million research books to New Jersey to make way for circulation libraries after the Mid-Manhattan Library and the Science, Industry and Business Library are closed. The Times got the debate rolling with an online forum last week and continued with coverage of yesterdays real world panel held at the New School.